Please read all of the information below before ordering. 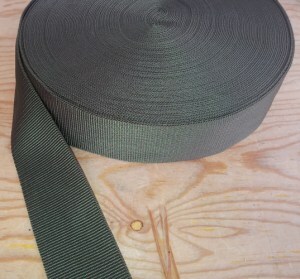 Rope and Splice has acquired limited stock of Danish Army Webbing. This is a high quality product and very strong. It does not rip apart like Chinese webbing can. It is not stiff but pliable and has a width of 4cm and a depth of about 1.5mm.